The price tag on your car is only one part of the equation. In fact, State Farm reports that the average driver spends almost $10,000 extra per year just to keep their car running. While this figure does include gas expenses, it also includes basic maintenance costs, like paying to get your oil changed and car washed. One of the best ways to shave off some of these expenses is to roll up your sleeves and do some of the work yourself. While some may take a little practice, once you have the skills perfected, you will be able to easily save yourself a couple hundred dollars (or more!) per year. 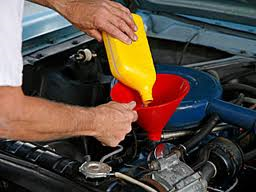 If you have never attempted to change your oil, this task may seem daunting, but don’t worry, Edmunds.com has a step-by-step guide that even includes photographs. Once you have the skill mastered, you will wonder why you never did it before. Did you know your wipers should be replaced at least every year? Even more if you live somewhere like Seattle. Check your owner’s manual for the type you need and instructions that will show you just how easy it is to change them. Your car is going to get dings and scratches; that is inevitable. However, that doesn’t mean they have to stay there. Pick up a simple touch-up kit and follow the instructions and your car will look as good as new in no time at all. Your tire pressure has a huge impact on your car’s gas mileage and your safety, so it is crucial that yours is at the right level. You will want to check it first thing in the morning to get the most accurate reading. If it is low, make a stop off at the gas station on your way into work to get it where it needs to be. Not sure what the right pressure reading is for your tires? You guessed it: check your owner’s manual.